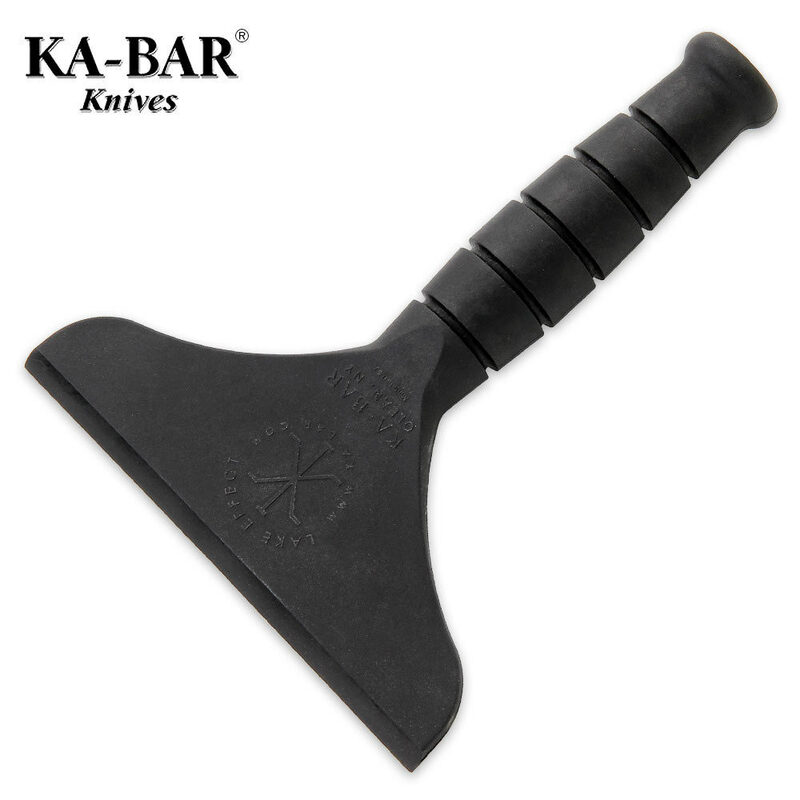 KA-BAR Lake Effect Ice Scraper | BUDK.com - Knives & Swords At The Lowest Prices! Featuring KA-BAR's signature oval-shaped handle, this rock-solid ice scraper gets the job done. The durable Grivory construction makes fast work of scraping ice off your windows and windshield. With the name KA-BAR behind it, you know the Lake Effect ice scraper won't let you down. So far the Ka-Bar scraper has functioned like any other scraper. But this is because we haven't experienced and weather conditions to test it out on. Just our normal morning frosted windows. But it does a good job on those. This is a very heavy duty scraper that should hold up to Indiana winters and it has a comfortable, sure grip handle which works well with freezing hands and fingers. Yes, it may be a little more expensive than those cheap plastic ones but worth the difference in price when scraping ice! Where did summer go? This is a very tough and well made scraper. It fits well in your hand and does a great job scraping off everything from frost to heavy ice on your windshield. I bought a few for my friends. Haven't heard back from them yet, but I'm sure they'll ove it as much as I do. Wise purcchase at $5.99 the construction is long lasting metal,the edge is 5 inches wide.My work is snow and ice removal on cars,I used a common plastic handeled scraper it is usefull but at 13 degrees it tired my hand quickly, this is ergonamicly designed to fit just right and the I look forward to next season, especially with a name like K-BAR behind it.